These aren’t summer socks. 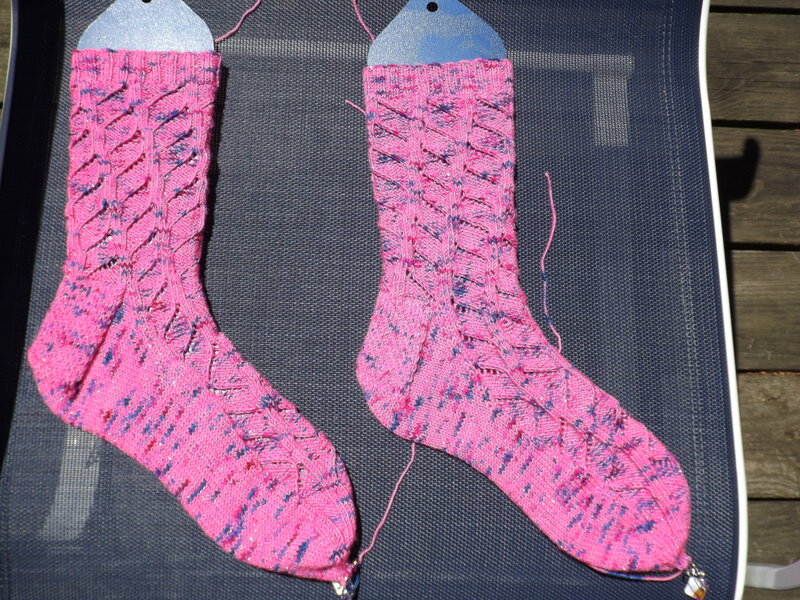 These are socks I knit this summer. They are for my daughter. She saw the yarn and her eyes popped. Not only is this her favorite color, it sparkles. What’s not to love? I still need her to try them on. Her feet are longer than mine. More socks will be coming. On the sewing front, my bedroom runners are almost finished. I still have a few squares left. I might make a new cover for my tablet. This entry was posted on August 21, 2017 at 10:39 pm and is filed under Knitting. You can follow any responses to this entry through the RSS 2.0 feed. Both comments and pings are currently closed.